The political process that evolved in Catalonia from 2012 onwards vis-à-vis the claims for the territory’s secession reached its culminating point, for the time being at least, with the UDI approved by its Parliament in October 2017 and the simultaneous authorisation by the Spanish Senate of the application by the Government of the measures of ‘federal coercion’ provided for in the Constitution. 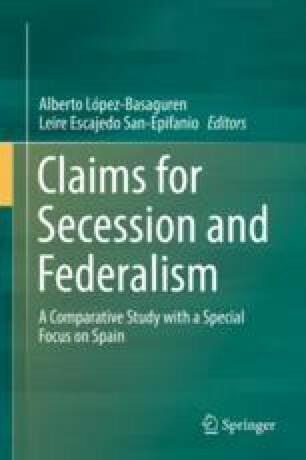 This paper analyses the grounds upon which its advocates have sought to base the democratic legitimacy of the secessionist claim and the legal feasibility of its implementation, and the difficulties posed by them both in the legal field. In the same vein, it attempts to analyse the most important political weakness undermining the demand for secession in Catalonia today: the absence of a sufficient social majority supporting it. Finally, it is suggested that reform of the system of territorial autonomy is the only viable means of addressing the secessionist challenge. This work was undertaken as part of the DER 2013-47774-P Research Project, funded by the Ministry of Economy and Competitiveness (MINECO) and the activities of the Research Group “Multilevel Constitutionalism”, funded by the Basque Government and the University of the Basque Country.